This is a summary version of Aaron's biography in narrative form. It is not meant to be complete but focuses on certain highlights of his work in a number of fields. Aaron Harber’s first stint in broadcasting was in 1992 as the host of the "The WatchDog" -- a political issues, consumer affairs, and citizens' rights program on the Talk of the Rockies Network. In 1994, he became host of "Against The Rush" -- a humorous but cogent response to Rush Limbaugh. The show was produced by USA Talk Network and broadcast on 51 stations by the Talk America Radio Network. Aaron gained national notoriety when he was sued frivolously for $20 million by Limbaugh, et al, for using the word "Rush" in the title of his show. With broad-based support across the entire political spectrum, Aaron won the First Amendment case in Federal Court. The talk industry’s leading publication -- "TALKERS MAGAZINE" -- selected Aaron out of 5,000 hosts across the country as one of America’s 100 "Most Important Talk Show Hosts In 1997" (along with such luminaries as Don Imus, Gordon Liddy, Rush Limbaugh, Laura Schlesinger, Howard Stern, and Bruce Williams). In 1997, he moved from Talk Radio solely into the television arena. Aaron is the host of "The Aaron Harber Show" (previously "Spontaneous Combustion") -- an irreverent look at the issues of the day -- and was selected as the host for "Blind Justice" --- a critical examination of America’s Legal System. He also served as the on-camera Political Analyst for Tribune Broadcasting station KWGN/WB2 – part of the Warner Brothers Network. He is a columnist for the State’s major political publication, "The Colorado Statesman," as well as a regular weekly columnist for The Denver Daily News. In 2000, he hosted the historic nonpartisan campaign series, "Election 2000" which was broadcast on over-the-air television (Colorado Public Television KBDI/TV-12) as well as on the Web, thanks to funding from the John S. and James L Knight Foundation and a partnership with The Denver Post. Two years later, he hosted the nonpartisan "Election 2002" series on Colorado Public Television as a demonstration of how to promote unbiased election information broadcasting by PBS stations nationally as well as to provide citizens with extensive candidate access and election coverage. He was the WB2 Political Analyst for the 2004 Primary and General Election seasons and also served as a host on "Colorado Decides 2004" when it became a joint venture of Channel 4/KCNC-TV (CBS-4), KBDI-TV Channel 12, and the Rocky Mountain News. For "Colorado Decides 2006" he served as the host/moderator and/or the primary questioner for all 21 programs in 2006 -- including "live" call-in television shows. Although it is true the highlight of Aaron’s life was being a Bat Boy for the Chicago White Sox at age 15 (he was a winner in a Chicago newspaper essay-writing contest), it hasn't been completely downhill from there. Aaron began his business career days after being graduated from college, at the age of 22, when he started the Colorado Accounting & Tax Service with $1,500 he had saved from college jobs he performed while working his way through school. Since then, he has been involved in numerous businesses ranging from survey research to high technology (where he organized software companies) to venture capital to Talk Radio to movie and television production, among many others. An environmentalist and an equal rights advocate, Aaron also is a strong pro-business, free-market proponent. Unlike many other talk show hosts who give opinions about subjects they know little about, Aaron has extraordinary firsthand experience and knowledge about business, government, education, politics, the Law, entertainment, Media, and the Press. His media activities are widely recognized for their consistent fairness, accessibility, and nonpartisan nature. 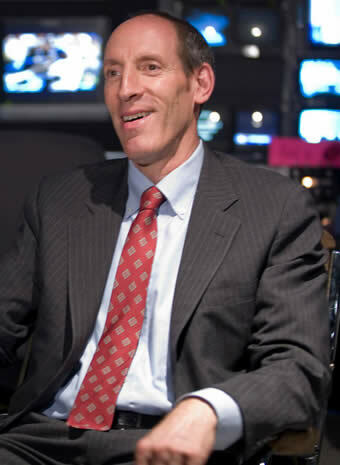 As co-founder and chairman in the early 1990’s of the Women's Equity Fund, a nationally-recognized, experimental venture capital firm helping women and men start new businesses and expand existing ones, Aaron helped promote the concept of changing the access women had to business capital. He was the chairman of Centre Entertainment, Inc. -- a video and film production and distribution company ("A Norman Rockwell Christmas" and "Legend Of The Spirit Dog"). He served as president of Wild Horse Productions, Inc. -- a company originally formed to develop the feature film, "Wild Horses," for Animal Planet and Discovery Communications, Inc. for which a complete script received final approval. Aaron pioneered the plan for the Golden Run community in Erie, Colorado, as an example of a modified New Urbanism development imaginatively designed to create a walkable, economically sustainable, environmentally-friendly multi-generational neighborhood. Golden Run’s design focuses on the needs of mature adults, senior citizens in their later years, young families, the disabled, people requiring special care levels, and those needing affordable housing. The concept is to create a community where people can live, work, play, recreate, shop, and enjoy life -- all in an ecologically sound manner. Aaron also was a co-founder and served as president and chairman of Silicon Valley software company TeamOne Systems (in the Apollo, Digital, Hewlett-Packard, IBM and Sun Microsystems markets) which tackled the national need to automate the writing of computer software. He also was elected as chairman of the innovative fiber-optic large-display company Mall TV, Inc. Additionally, he served as chairman of one of the nation’s original retail virtual reality companies, V-Space, Inc.
For almost a third of a century, Aaron has served as president of American Research Corporation, where his work included strategic planning, research and business advisory services, organizational consulting, public opinion polling, and computer software. He has managed complex software development projects, served private and public sector clients domestically and internationally, and participated in many state and federal government projects. A sample of his customers include Bank of America, Motorola Corporation, the U.S. Federal Energy Regulatory Commission, Atari, Inc., Memorex, SPRINT, Case Western Reserve, Environment Canada, Rockwell International, Knight-Ridder’s VIEWDATA Corporation, Unisys, Public Service Company, Hughes Aircraft, the U.S. Department of Energy’s Energy Information Administration, Tandem Computers, and Security Pacific National Bank. Aaron is the founder of the Democracy & Media Education Foundation -- a national effort to change American politics by encouraging Public Broadcasting System stations to provide extensive nonpartisan coverage of election races and ballot issue contests to mitigate the effect of paid commercial political television advertising. His innovative theory to "use television to fight television" is the basis of the Foundation’s potential to radically change the USA’s political system. Aaron also served as an elected member of the Board of Trustees of Princeton University. He worked internationally after being elected Vice-President and then President of the 3,000-member International Tandem [Computers] Users' Group, and helped lead the group to its independence as an autonomous and self-sufficient organization. While registered as an Investment Adviser with the U.S. Securities & Exchange Commission, he donated his financial and tax advisory services to men and women starting businesses as well as to charitable organizations on a pro bono basis. Aaron's community involvement also has included doing fundraising for the University of Colorado, serving as the first president and chairman of the Nancy Spanier Dance Theatre of Colorado, working as a Volunteer Probation Counselor for the City and County Courts of Denver, and serving on the board of the Boulder Philharmonic Orchestra. He was co-director of the Chicano Film Project, which produced the heralded film, "Los Inmigrantes." He has worked as a volunteer for ECO-CYCLE and as a Relief House Parent for Attention Homes (an alternative to jail for young offenders). Almost three decades ago, he was the first (and then only) male ever elected to the Board of Directors of the Boulder County Women's Resource Center and for decades has been a strong proponent of equal rights for women. He also has served as the moderator and the facilitator of numerous panels as well as a keynote speaker at various events. Aaron was elected Secretary of the Colorado Democratic Party in 1983. He was elected as a Presidential Delegate to the 1984 National Convention in San Francisco and also was elected to the Convention’s original Credentials Committee. He was a candidate for Secretary of State in 1982 and later won his party's nomination in 1990. In both 1996 and 2000 he won election in a statewide party race to the Electoral College. In addition to his 1984 delegate win, he was elected as a Presidential Delegate to the Democratic National Conventions in Chicago (1996) and Los Angeles (2000). Aaron has served as parliamentarian and secretary of numerous political assemblies and conventions, at the county, congressional, and state level. He was elected as chair of State Senate District 17 and as Vice Chair of House District 31, and has held many other elected party positions -- ranging from Precinct Committeeperson to Caucus Chair and Secretary to County, Congressional, State, and National delegate. He has held no partisan position since 2000 due his work in the Media. He remains committed to continue to be seen as an objective, independent, nonpartisan member of the Press. Despite his history of political activism, Aaron is known for his fairness and the equal access he has provided Republicans to all his radio and TV shows -- including his unique broadcasts from the Republican National Convention in 1996. He has broadcast his show "live" from places as disparate as the Democratic Leadership Council to the White House Press Room to the conservative Heritage Foundation. His political views include elements from both major parties and from some minority parties. His philosophy is to consider as many views as possible and come to rational, thoughtful positions not bound by any particular partisan, "blind-faith" ideology. He believes in offering people a "helping hand" and assisting them in becoming independent -- not dependent. He is a strong believer in protecting the Environment. A staunch supporter of the concept of public disclosure, "sunshine" laws, and Open Records Acts, Aaron fought a precedent-setting battle against the State of Colorado in 1982 in which the Secretary of State ultimately was required to release public information in its most usable form (i.e., electronic). A decade later, in 1993, he won a case against another government entity (the Northern Colorado Water Conservancy District) -- which had tried to use the law and the cost of litigation to hide important public information. And in 1994, at the request of the Sierra Club, he agreed to intervene in a case against the NCWCD filed by the Sierra Club by formally supporting the Club’s position in a joint filing. Colorado Governor Roy Romer appointed Aaron to the Colorado Department of Law's Collection Agency Board ("CAB") in the Office of the Attorney General in 1988. Aaron served there under both Democratic and Republican Attorneys General and promoted many improvements on behalf of consumers. He was elected in 1989 as the first public member ever to serve as chairman of the CAB. In 1990, he was appointed by the Governor to serve as a business representative on the State's Complete Count Committee for the 1990 U.S. Census as also noted in ByteMe TV's pages and referenced in Sub TV. Additionally, Aaron has chaired numerous domestic and international events and is known as an excellent public speaker, moderator, and facilitator. He also mediates crises and advises numerous organizations pro bono. His favorite activity is problem-solving in a "win/win" mode. Aaron was born in Chicago, Illinois, and was graduated first in his class from Fairview High School in Boulder, Colorado, where he gave the valedictory address. He received his undergraduate degree (A.B.) from Princeton University's Woodrow Wilson School of Public and International Affairs (concentrating in Economics) and received a master's degree in public administration (M.P.A.) from Harvard University's John F. Kennedy School of Government (concentrating in Ethics), where he also examined campaign finance laws and election practices in all 50 states. At Princeton, Aaron became the first person in the 220-year history of the University to win two awards for being the person who did the most for his class and the most for the University. Aaron’s primary role in life is raising his daughter -- whose homework keeps him very busy. His hobbies are running, basketball and tennis (he’s not very good), and eating (with great gusto). For more information, please send requests via e-mail to Aaron@HarberTV.com or visit www.HarberTV.com. © Copyright 2005 by USA Talk Network, Inc. All rights reserved. "Blind Justice" is the registered trade name of USA Talk Network, Inc.